While I can’t deny my love for some global brands, I love supporting small businesses and entrepreneurs whenever possible. There’s something unique about a product or brand with a story with which you can connect. I don’t know about you, but that connection makes the product so much more special and sentimental to me. That’s the point where it transforms from just another item I own to a prized possession, and I love sharing that brand story with anyone who will listen. One of the infinity great things about the internet is the ability to connect with small businesses and creators from all over the world, regardless of where you live. 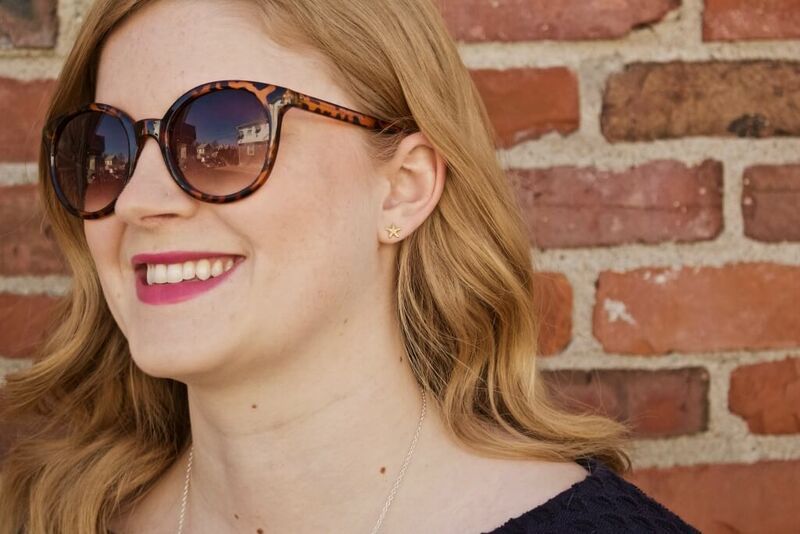 Sites like Uncommon Goods provide a community where creators and consumers can connect. 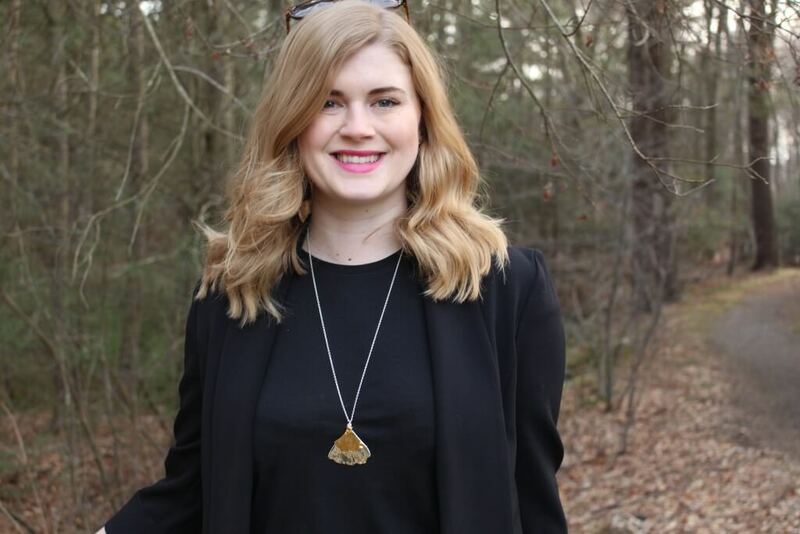 For this post, I teamed up with Uncommon Goods to connect with three jewelry creators whose stories and products speak to me. It’s a little-known fact that West Virginia has a piece of a heart. I spent from age ~2 to ~11 living in Charleston, West Virginia with my family and I miss the beautiful state. I haven’t been back for a visit since I was ~15, and I hope to make it back for a visit sometime in the nearish future. 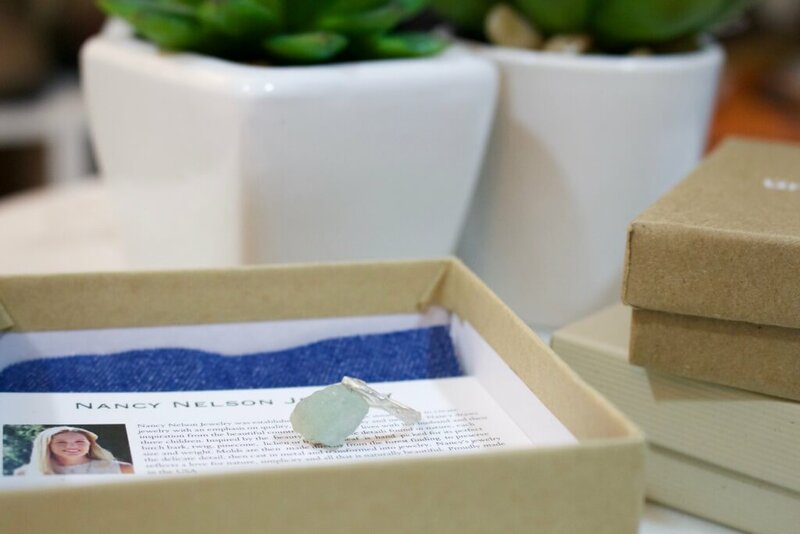 Nancy Nelson hand assembles all of her gorgeous items in her West Virginia studio, so when I stumbled upon her Aquamarine Branch Ring I knew it was fated that we live happily ever after. Me and the ring that is, not me and Nancy. The sterling silver, twig-inspired band and rough-hewn aquamarine stone make for a gorgeous ring that is equal parts delicate and rustic. Wearing this ring makes me feel connected to my semi-home state and reminds me of my love of the woods. It would make the perfect gift for your mom, sister, friend or any woman who loves unique, handmade jewelry with ties to Mother Nature. As I mentioned earlier, I love trees. And you know what’s a part of trees? Leaves, that’s what. Michale Dancer works with a lot of natural elements, leaves being some of them. I never knew you could do much with leaves other than press them, so I was excited to learn that I could wear them as well. 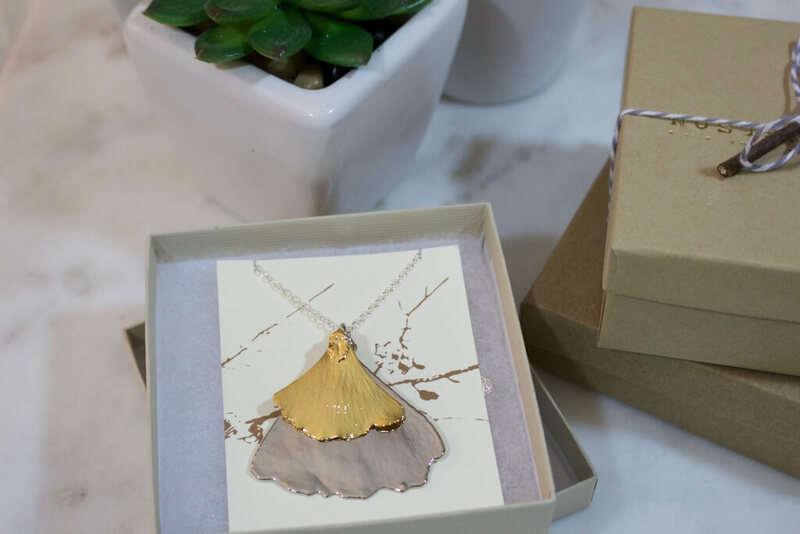 To create this necklace, Michale preserves real ginkgo leaves in copper and then dips them in sterling silver and 24k gold. The result is a mixed-metal beauty that’s understated and pairs with almost any outfit you could dream up. I love pairing this necklace with simple tees and blouses to dress them up. 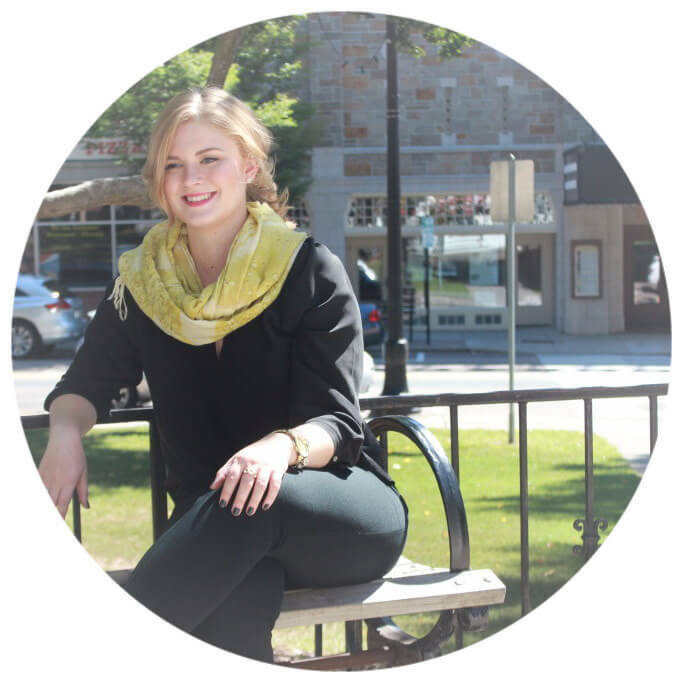 Plus, the long chain makes it easy to layer with infinity scarves and other necklaces. I recently traveled to Hawaii, which is a trip I’ve always dreamed of. It was such a gorgeous vacation and holds a special place in my heart. When I learned that Catherine Weitzman produces her jewelry in Hawaii, I knew I had to have an item of my own. Her dainty starfish earrings are subtle enough to be worn daily while still reminding me of my love of the ocean and my fabulous Hawaiian vacation. Plus, imagine how perfect they’ll be during the summer months. I love all of Catherine’s pieces, and I’m considering purchasing the spring terrarium necklace as a birthday gift to myself since I’m a spring baby. 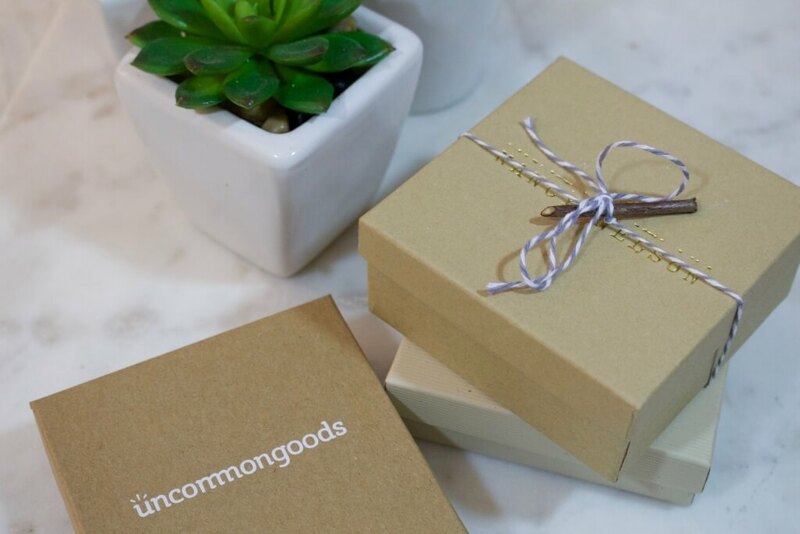 Uncommon Goods is the perfect site for all of your gift shopping needs, regardless of who’s on your list. They have something unique and meaningful for everyone, and they have much more than just jewelry. From art and kitchen items to gardening and entertaining necessities, you can find it on Uncommon Goods. This Mother’s Day, take a look to see what unique gift you could give to your mother or wife, the mother to your children. Tell me: Have you ever shopped at Uncommon Goods before? I occasionally get their catalog in the mail. It sure is a great place to buy gifts. You picked out some pretty and unique items. Those pieces are beautiful. I can see why you picked them out. Everything is gorgeous, but I LOVE those earrings! 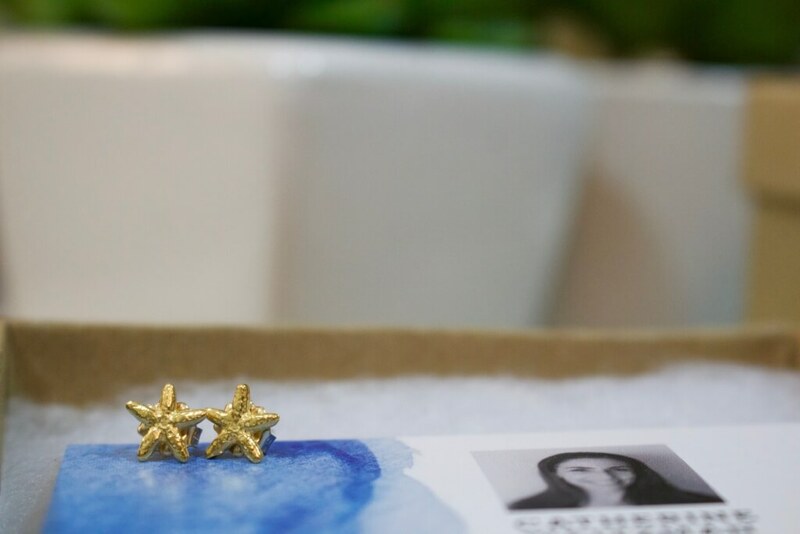 The starfish earrings are super cute! That necklace is so pretty! What a clever idea to dip the leaves in gold. I absolutely love the jewelry pieces… I love mineral stones and natural elements, so I think these are gorgeous.